Located at the foot of Mount Vitosha, Sofia is the bustling capital city of Bulgaria. Emerging from a history of communist suppression, the city is now a modern metropolis, home to major universities, commercial businesses and cultural establishments. Famed for its sprawling green parks, panoramic vistas, performing arts and historical landmarks, Sofia is a prominent European tourist destination. 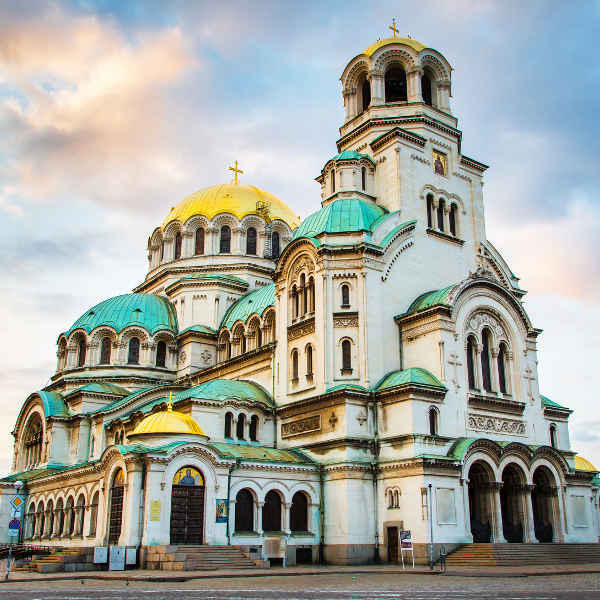 Cheap flights to Sofia are now available for a limited time only, so book your flight today and prepare to be enthralled by the festive atmosphere and cultural landmarks of this historical city! Sofia is home to Sofia International Airport (SOF), a 25-minute drive from the city centre. The radiant views from Mt. Vitosha are something to behold, while the Boyana Waterfall exudes a romantic flair. Wander through South Park and Borisova Gradina for a relaxing escape, surrounded by sprawling gardens and historical formations. 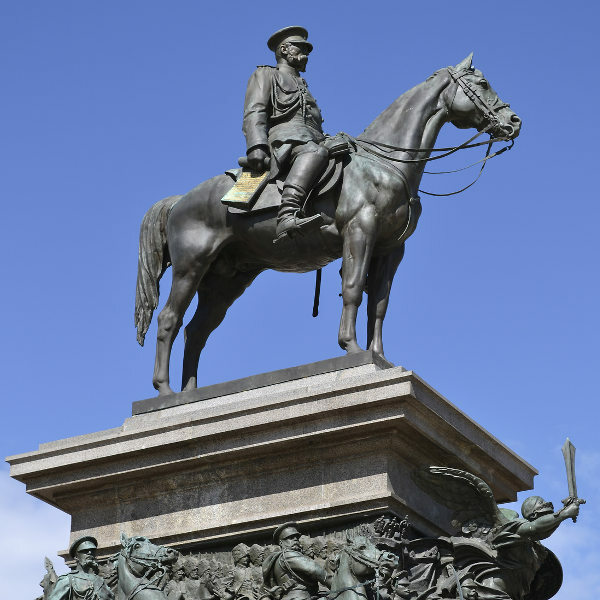 With a rich history of Ottoman occupation and Socialist struggle, the historic monuments scattered around the city paint a colourful picture of conflict, resilience and triumph, with Sofia emerging into a vibrant, cultural metropolis. The city boasts a multitude of churches and cathedrals – the magnificent architectural designs are a drawcard for anyone curious to step inside. The Alexander Nevsky Cathedral and Russian Church of St. Nicholas are just a few spectacles on display. Spring, occurring between April and June, is a popular time to visit this blossoming city. The city really comes to life from May right through to September with outdoor cafés, parks and gardens staying open till well after midnight. Ditch the crowds and go in August when the city empties out and hotels offer great discounts! The winter season, between December and February, brings a gloomy chill over the city; however, if you don’t mind the cold, the ski slopes of Mt. 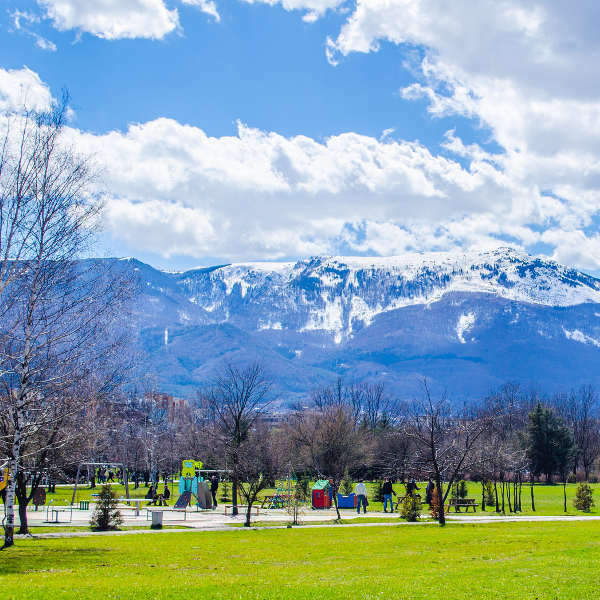 Vitosha welcome visitors and the city buzzes with festivals and a vibrant nightlife. Film buffs can catch the popular International Film Festival, held in March. Popularly known as the city that grows but never ages, Sofia is the capital and largest city in Bulgaria. Located centrally on the Balkan Peninsula at the base of Mt. Vitosha, the city offers mesmerizing scenery and panoramic views, enhanced by the majestic ski slopes. While the region is great for outdoor activities such as alpine skiing, hiking and trail running, Sofia also offers sprawling green parklands, cobblestone boulevards, art galleries, orthodox churches, museums and fine restaurants offering mouth-watering, Bulgarian delicacies. The city’s vibrant shopping malls, luxury hotels, buzzing casinos, and trendy clubs & bars, highlight Sofia as a modern metropolis. Plunge into contemporary city life, while being surrounded by remnants of Sofia’s former days of struggle and victory, evident in The Archaeological Museum, National Palace of Culture and the symbolic Kambanite Bells. Regardless of when you decide to visit, this underestimated city will pleasantly surprise you with its vivacious character, profound culture and picturesque landscapes! Compare several airlines, and book your cheap flights to Sofia online at Travelstart. Despite occasional political protests and harbouring a slightly conservative culture, Sofia is a considerably safe city and has seen a boom in tourism over recent years. Petty theft and persistent beggars are the only major annoyances, so ensure valuables are kept out of sight and avoid carrying large sums of money. Be on the lookout for strangers who approach you unprovoked as they are most likely trying to scam or pick-pocket you. Walking around the city is perfectly safe, especially for women, although it is advised to walk in a group at night time. If you need to exchange or withdraw money, go into a bank or exchange bureau – avoid ATMs in dimly-lit areas. Drivers are not always mindful of pedestrians, so be careful when crossing the roads, particularly at night. Should you require medical care, private clinics are reasonably-priced, will save you time and doctors there mostly speak English.